This is a photo documentary exhibition about the impact of human rights violations inflicted seven decades ago and then forgotten. It captures the vulnerability of survivors, an intimate heritage of the internment in poorly known Italian fascist concentration camps for civilians. The first opening happened in September 2013 at the National Museum of Contemporary History. 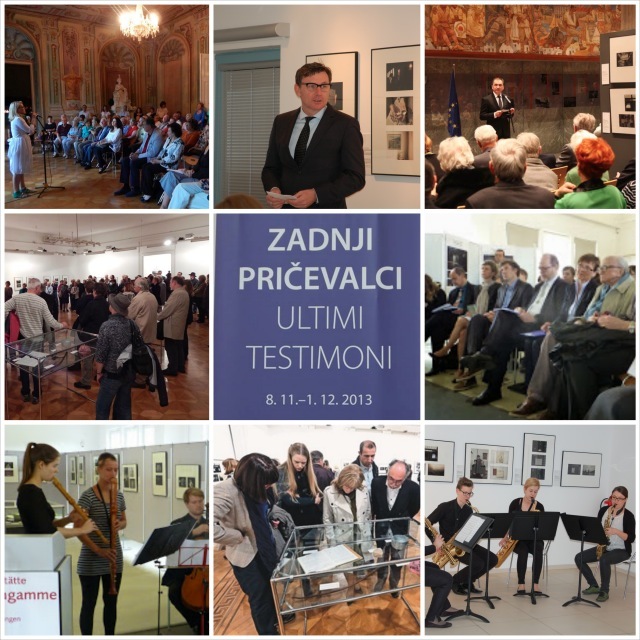 In Slovenia, photos of few living witnesses were taken. Extended interviews were recorded. By doing so, we created a social context for the long time missing historic memory about Italy’s concentration camps within the annals of WWII in Europe. 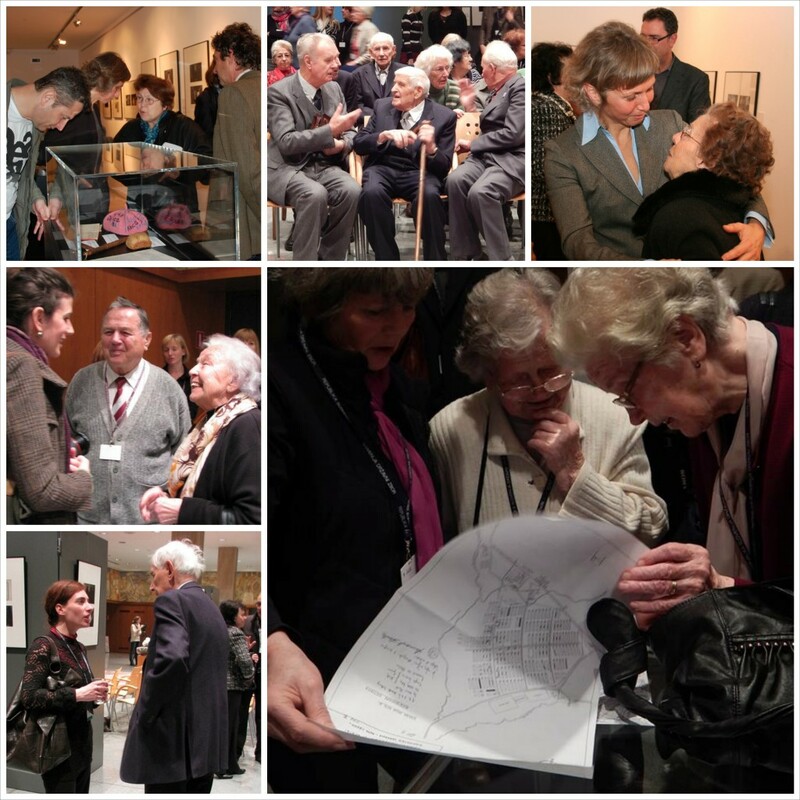 The exhibition is an invitation to be empathic, to step into survivor’s shoes. Most of all the exhibition is an act of remembrance and a way to pay respect to the victims of italian fascist camps. It is an attempt to make known the politically induced loss of European historic memory. It is a venue to grieve. We visited five locations of internment: Kampor / Island of Rab (Croatia), Gonars, Visco, Chiesanuova, Visco (all Italy). They were and they still are outside the boarders of the state we live in. By doing so our intent was to pay respects to the victims as their relatives would do. Discovering how much of our co-nationals of all generations are impacted by the fascist occupation and the internment we honor exhibition venues as memorial spaces. Openings evoke strong feelings and amazement about the untold past, release of untold stories takes place. Regularly venues turned into a spontaneous open space where survivors, their relatives and people living in the affected regions of Slovenia shared information and their vulnerability. Those were moments of intense connection and healing. Some visitors brought objects from internment (like postcards, maps and diaries) their relatives left behind. Photographic post-processing and printing by: ARTIKO d.o.o. 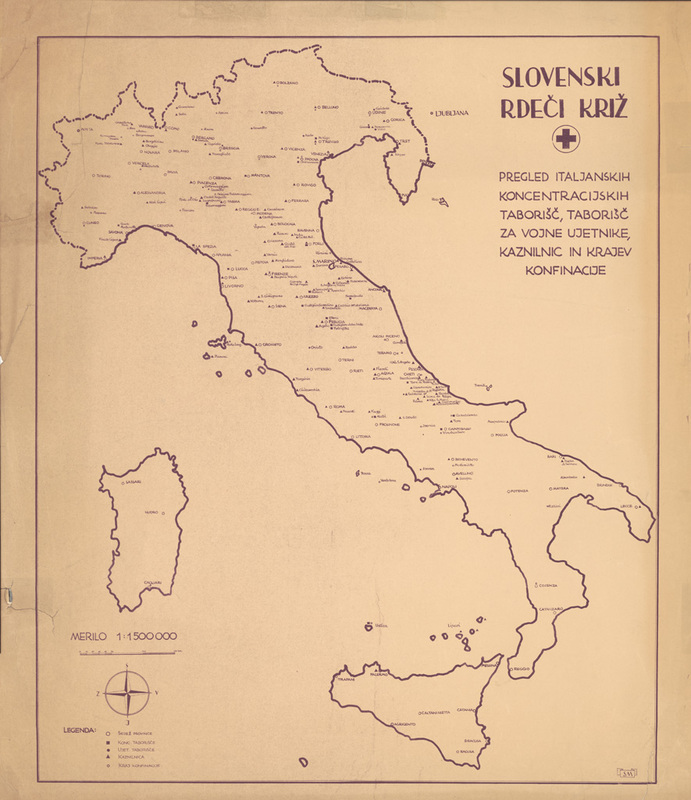 Marked on the Slovene Red Cross map are the locations of Italian concentration camps, prisoner of war camps, prisons and internment camps. It was made soon after the WW2, the exact year is not known. The original is kept in the Museum of Contemporary History of Slovenia in Ljubljana.